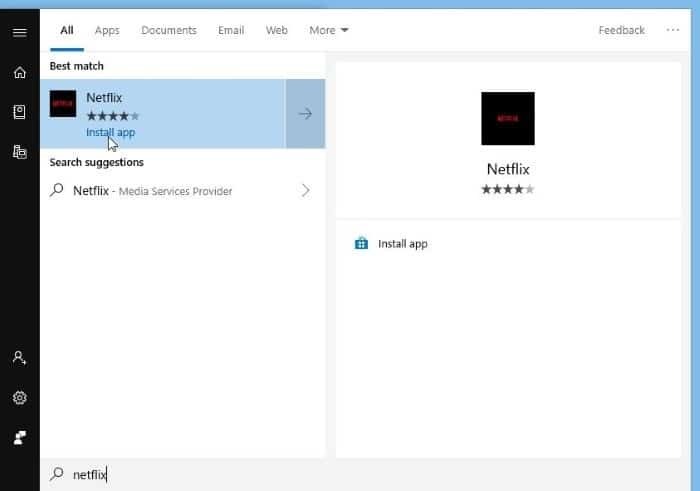 The other day, I wanted to install the Netflix app on my recently reinstalled Windows 10. Upon opening the Store app, I noticed that the search box or search icon which shows up next to the user icon was missing. The search box usually shows up at its place. However, at times, as you can see in the picture below, it doesn’t appear in the Store app at all. If the search is missing from the Store app in Windows 10, you can try out the following solutions to restore the search box. Closing the Store app and then opening the same again might address the issue. If restarting the Store app didn’t help, we suggest you restart your PC once. Resetting the Windows Store app should restore the search box. When you reset the Store, Windows 10 reinstalls it and restores its default settings. You might need to sign in to the Store app again though. Here is how to do that. Step 1: Close the Store app (if it’s running) and then navigate to Settings app > Apps > Apps & features page. 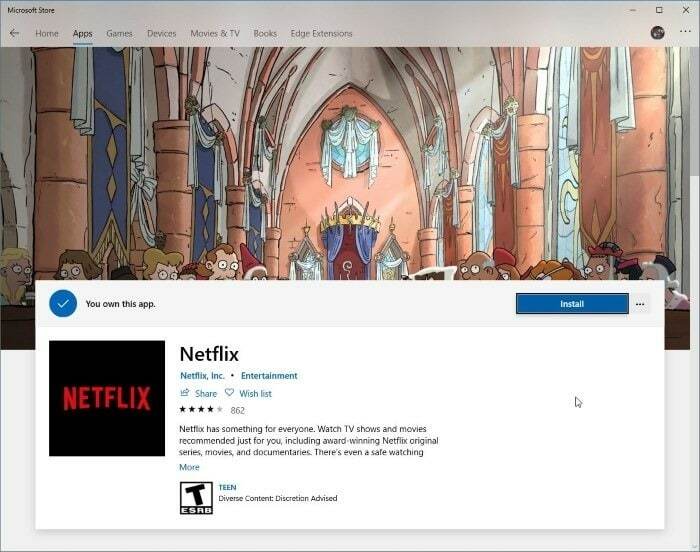 Step 2: In the app list, look for Microsoft Store entry and then click on it to reveal the hidden Advanced options link. Click on Advanced options link. Step 3: Scroll down the page to see Reset option. Click on the Reset button. It might take a few seconds to complete the reset operation. It the Store app fails to open after the reset, reboot your PC once. According to Microsoft, resetting the Store app reinstalls it. 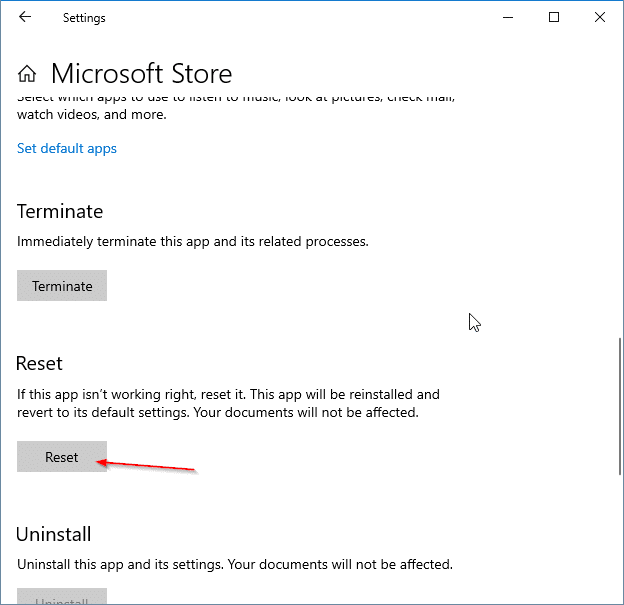 But if you would like to do the same manually, refer to the directions in our how to reinstall the Store app in Windows 10 for step-by-step directions. 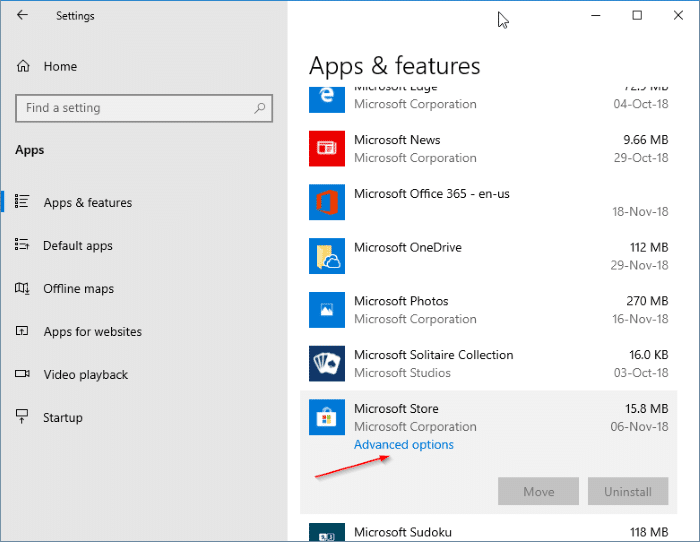 You can also refer to our how to reinstall Store and other preinstalled apps in Windows 10 guide. If the search function of Store doesn’t appear or work, you can use the Start/taskbar search in Windows 10 to search the Store. Simply type in the name of the app in the Start/taskbar search to see the result from Store. If you cannot see the app, turn on the app filter by clicking on it (refer to the picture below). Click on the result to open the app’s page in the Store app. 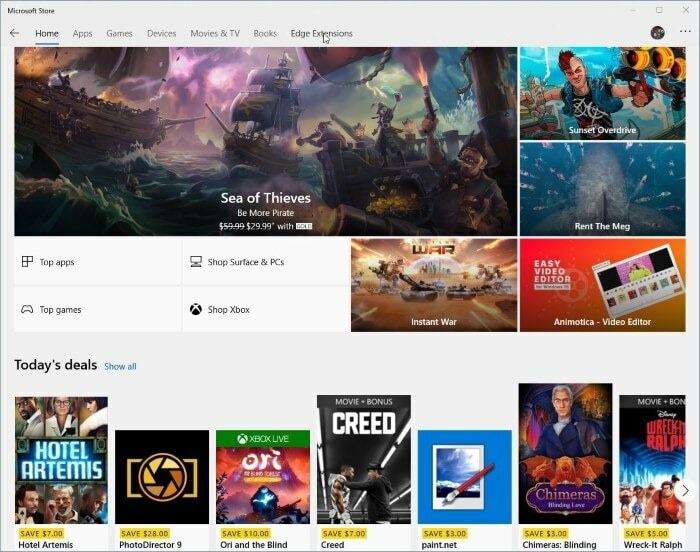 You can also use Google, Bing, and other internet search engines to search the app quickly you are looking for in Windows Store. You might also want to read our how to clear the Windows 10 Store cache guide.